… doesn’t mean you know what to do with them. When I discovered I was expecting my first daughter, I was already comfortable communicating through American Sign Language. My senior year of high school, I completed 8 levels of ASL, as a pre-requisite to the American Sign Language Interpretation Program. Long story short, life got in the way and I took a different path. But I’m still SO grateful for all that I learned through those night courses! At that time, I had no idea sign language for hearing babies was even a thing! When I discovered baby sign language could be used as an early communication tool to communicate with my baby 1-2 years before she learned to talk, I was intrigued and excited at the same time! However, I didn’t know the first thing about how to teach sign language to my baby. I felt confused and unsure of how to start. And, here is what I learned along the way. This is really important. 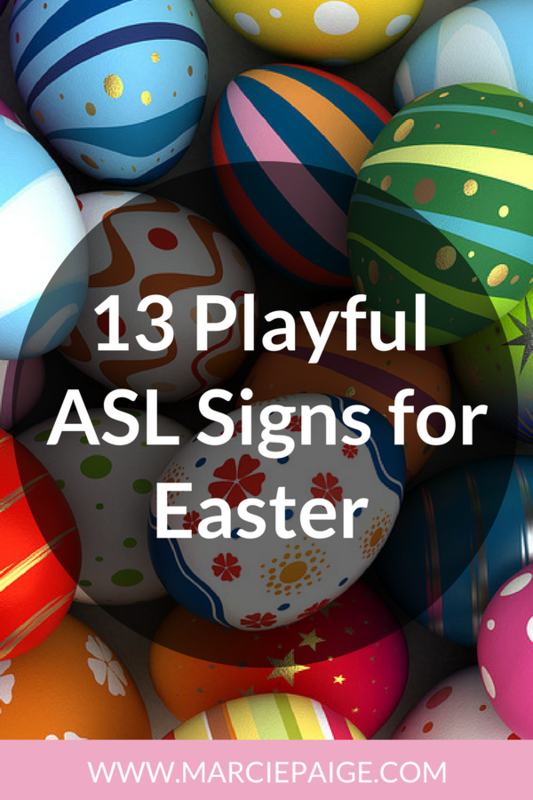 Your baby needs to see the sign in action, over-and-over. The more your baby sees the sign being used, the quicker he will be able to link up the sign with the meaning of the word. 2. Make sure your baby is looking at you. This may seem obvious, but never-the-less a very important step. Your baby must be looking at you when you sign a word. Say your baby’s name to get their attention, or walk over and get right in front of him. When you have his full attention, say-it and sign-it, at the same time. If you are signing the word for an item, hold the item up for them and point to it while signing (example: bottle). If you are signing an action word (example: diaper change), sign the word right before you take off his diaper to change him. 3. SAY the word every time you SiGN it. Sign language for babies is not just about teaching your baby to talk with their hands – it’s also a stepping stone for learning the spoken English language. 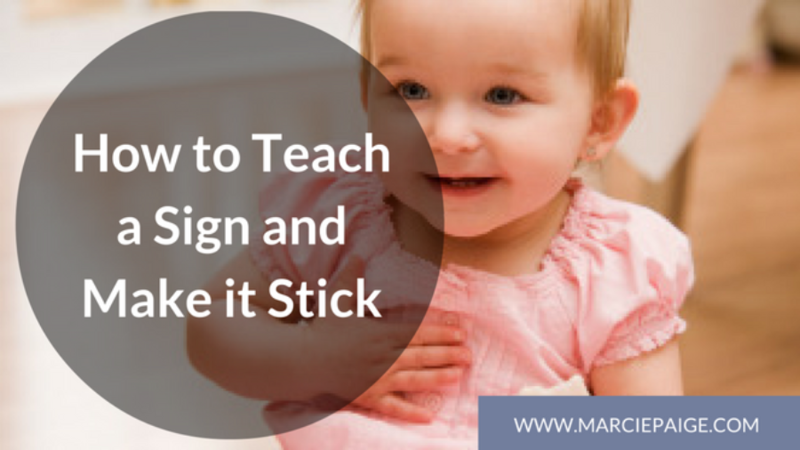 Every time you sign with your baby you re-enforce the sign with the sound of the word. Babies and young children are visual learners. Every time you say + sign a word, your baby is able to make a connection between sound and sign. As a result, most families who use baby sign language have children who speak sooner and develop a much larger vocabulary for when words kick in. Not sure how to get started? Download one of my freebies! Want more? Get my complete collection of teaching aids.